16730 Sapphire Ct, Weston, FL.| MLS# A10582147 | Susan J Penn l Best Agent l Buy & Sell South Florida Homes! 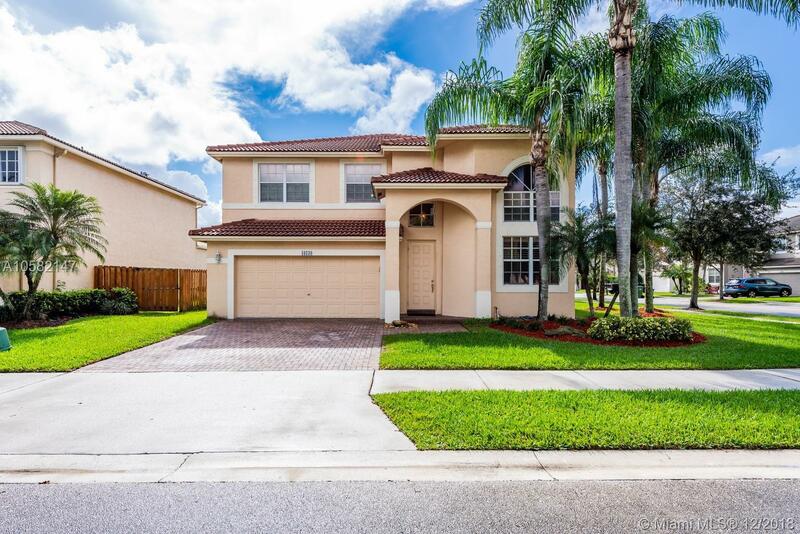 THIS IS A FANTASTIC OPPORTUNITY TO OWN A METICULOUS, BEAUTIFUL AND IMMACULATELY MAINTAINED HOME IN PRESTIGIOUS "EMERALD ESTATES" IN WESTON. THIS MOVE-IN READY, CORNER LOT, 4BEDS/3BATHS HOUSE FEATURES A RENOVATED KITCHEN WITH ALL GREEN ENERGY APPLIANCES, TILE FLOORS THROUGHOUT THE HOUSE, EVEN THE STAIRS!. SPACIOUS, INVITING LIVING AND FAMILY ROOM ON FIRST FLOOR. MASTER BEDROOM IS LOCATED ON SECOND FLOOR TOGETHER WITH A CONVENIENT LOFT. ONE FULL BEDROOM AND BATH DOWNSTAIRS FOR FAMILY AND/OR GUESTS. THIS PROPERTY IS IN A HIGHLY DESIRABLE LOCATION, CLOSE TO EVERYTHING YOU MAY NEED: SHOPPING, DINING, "A" SCHOOLS, OFFICES, AND A COUPLE OF MINUTES AWAY FROM I-75 and I-595. CALL ME TO SCHEDULE AN APPOINTMENT. Directions: I75 To Griffin Road, North On Weston Road, Left On Emerald Estates. Guard At The Gate. I Will Meet You At The Property.